The Arts Commission is led by a staff of dedicated professionals committed to supporting a robust and thriving arts and culture community in Los Angeles County. Kristin Sakoda is Executive Director of the Los Angeles County Arts Commission providing leadership for Arts Commission strategies in arts and culture countywide. Ms. Sakoda most recently served as Deputy Commissioner & General Counsel of the New York City Department of Cultural Affairs (DCLA) where she advanced a wide range of strategic, programmatic, legislative, and policy initiatives. During her tenure she was instrumental in diversity and inclusion, capital projects at cultural facilities, public art, creative aging and affordable workspace for artists. 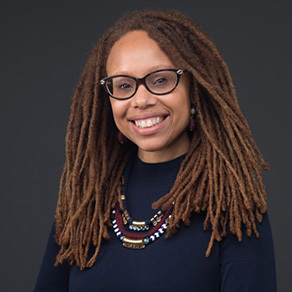 She served as chief legal officer of DCLA and chief executive officer of the city’s Theater Subdistrict Council awarding grants to cultivate diversity and inclusion on Broadway and beyond. Ms. Sakoda is also a creative professional and lifelong arts practitioner whose work continues to be informed by her professional career in dance, music, theater and songwriting. She has appeared on stages across the U.S. and internationally including with the Urban Bush Women dance company and in hit musicals Rent (National Tour) and Mamma Mia! (Broadway). Ms. Sakoda holds a J.D. from NYU School of Law, where she received the Jack J. Katz Memorial Award for Excellence in Entertainment Law, and a B.A. from Stanford University in American Studies with a specialization in Race and Ethnicity and a secondary major in Feminist Studies. 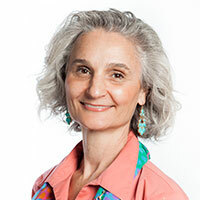 Anji Gaspar-Milanovic oversees the Organizational Grant Program, Community Impact Arts Grant Program, Arts Internship Program, professional development, special initiatives designed to increase the capacity of the arts sector and connecting regional arts funders. 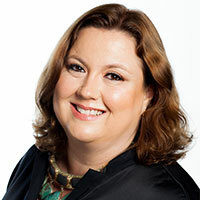 Prior to joining the Arts Commission in 2007, Ms. Gaspar-Milanovic worked in development at Saint Joseph Ballet and held several positions at the American Red Cross of Orange County, including Public Relations Specialist, Bilingual Public Information Officer and Disaster Services Caseworker. Fluent in several languages, she received a B.A. in Latin American Studies and French Literature from Lake Forest College and attended Vanderbilt University’s graduate program in Latin American Studies. Grace Ramirez Gaston is responsible for planning, developing and implementing what is becoming one of the largest public art programs in the country, with over 40 active projects, ranging in size from $10,000 to $1 million. The Civic Art Program, which began in 2005, allocates 1% of county capital projects for public art. The Director of Civic Art develops and articulates a broad vision for the program and oversees a team of project managers, a collections manager, a registrar and a program coordinator. 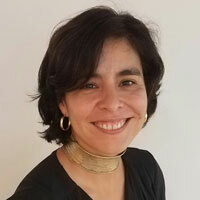 A graduate of Rowan University with a degree in fine arts, Ms. Ramirez Gaston was the Deputy Director and Program Manager for the New York City School Construction Authority, Public Art for Public Schools Program. Ms. Grande oversees the Los Angeles County Arts Education Collective, spearheading regional efforts to advance arts education for LA County’s 1.5 million public school students. This involves promoting a common agenda, shepherding a 200+ partner coalition that engages over 100 arts organizations and 70 school districts, guiding communications efforts and spearheading research to inform strategy and track progress. Previously, Ms. Grande was Director of Programs and Strategic Partnerships for the Metropolitan Opera Guild at Lincoln Center in New York, annually serving 160 schools across 7 states. During her 20 years at The Music Center in Los Angeles, she played a leadership role in arts education program design, implementation, research and evaluation. Ms. Grande received her BA from UCLA in dance and was a Coro Fellow through the California Arts Council’s Arts Leadership Fellow Program. 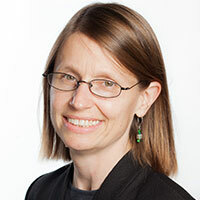 Bronwyn Mauldin oversees a Research and Evaluation team that utilizes data and social science methods to improve the Arts Commission’s work and strengthen the arts ecology. Ms. Mauldin has spent her career conducting applied research and evaluation for nonprofits, philanthropies and government. She also teaches research methods to graduate students in the arts administration program at Claremont Graduate University. Prior to coming to LACAC, Ms. Mauldin evaluated farmworker programs in California’s Central Valley, studied employment conditions for truck drivers in the Pacific Northwest, analyzed apprenticeship opportunities in the healthcare industry, served as a nonpartisan policy analyst in the Washington State House of Representatives and researched villager organizing in rural northeast Thailand. Ms. Mauldin has a master’s in public administration from the University of Washington. She is also a novelist.